Ruben Ramos-Escobedo, a 59-year-old Latino male, died Wednesday, Sept. 18, after being shot in West Adams, according to Los Angeles County coroner’s records. A man was killed during a confrontation with police in the West Adams district Wednesday. Officers responded to a report of a man with a gun at approximately 6 p.m. near West Adams Boulevard and Hauser. A LAPD spokesperson told CBS2/KCAL9 News shots were fired and the suspect was hit. Los Angeles: On Wednesday September 18, 2013, around 5:58 p.m., Southwest Patrol Division uniformed police officers responded as a backup unit to a man with a gun radio call in the 5400 block of West Adams Boulevard in the Los Angeles Police Department’s (LAPD) Southwest Area. LAPD Air Support Division’s helicopter also arrived overhead and observed an individual that matched the description of the suspect broadcasted in the radio call. As officers arrived, the LAPD helicopter directed officers to the suspect. The suspect was sitting on the south curb of Adams Boulevard and was accompanied by another male Hispanic, who was sitting next to him, east of his position. Police Officer Manuel Armenta and his partner exited their patrol car and took cover behind a parked car on the south curb, drew their service pistols and gave verbal commands in both English and Spanish. While still seated, the suspect retrieved a handgun from his waistband area and an officer involved shooting occurred. The suspect was struck by the officer’s rounds and was subsequently taken into custody. The individual accompanying the suspect was not hit by gunfire. Wilshire area uniformed police officers also arrived immediately after the officer involved shooting. A handgun was recovered from the suspect at the scene. Los Angeles Fire Department responded and pronounced the suspect dead at the scene. The additional male was arrested for public intoxication and transported to Southwest Area. There were no officers injured during the incident. Force Investigation Division responded to the incident and will conduct a thorough investigation of the officer-involved shooting. The investigation will ultimately be reviewed by the Chief of Police, the Office of the Inspector General and Board of Police Commissioners for compliance with the Department’s use-of-force policy, which states that an officer’s use-of-force actions must be objectively reasonable. This entry was posted in California, Dead, Man, Shot by Police on September 18, 2013 by usgunviolence. Half a mile from the Winter Garden Police headquarters, an officer responding to a call about a stabbing shot an unarmed man early Wednesday. Winter Garden police Thursday released the name of the officer who shot to death a man suspected in a stabbing. Officer Jorge Coello, who was hired in March 2009, shot Larry Nortonsen, 53, about 12:25 a.m. on a third-floor landing at Park Avenue Villas apartments, 38 S. Park Ave., police said. Officers said Nortonsen was running toward Coello, but they haven’t disclosed whether he was armed. Nortonsen was taken to Orlando Regional Medical Center, where he died at 5:40 a.m.
Coello was responding to a call alleging that Nortonsen had stabbed his roommate, Sean Ambro, 24. Coello shot Nortonsen once in the chest, police said. Ambro was released from the hospital and is expected to recover. He met Nortonsen at work, police Sgt. Scott Allen said. This entry was posted in Dead, Florida, Man, Shot by Police on September 18, 2013 by usgunviolence. A 26-year-old man who was shot to death by police in downtown Durham Tuesday afternoon posted on his Facebook page before the fatal standoff that he was upset about a custody dispute over his son and that he hoped to die soon. Investigators say Derek Deandre Walker walked into downtown Durham’s CCB Plaza on Corcoran Street shortly after 4 p.m., distraught, waving a gun and shouting. WRAL News video from the scene showed what appeared to be Walker repeatedly saying “shoot me” while pointing his gun at officers. Negotiations failed, and the standoff ended about an hour later with police Cpl. R. C. Swartz firing at Walker. He died at a local hospital. This entry was posted in Dead, Man, North Carolina, Shot by Police on September 17, 2013 by usgunviolence. KATV) White County – A Judsonia man was shot and killed early Tuesday morning during a stand-off with police. Charles Martin’s neighbors called police around 8 Monday night to report that he fired a gun outside his home. When police arrived, Martin barricaded himself in his home until he reportedly got into a shootout with officers. The five hour stand-off ended when State Police sent a robot into his home. They say Martin shot at it and at the SWAT team. They returned fire and Martin was pronounced dead at a local hospital. Crime tape still surrounds 117 Meadowview Circle. A board blocks entrance to 40-year old Charles Martin’s home that is now evidence. Trees knocked over are a reminder of the events. Tuesday afternoon, people left flowers and notes outside Martin’s home. Charles Adrien Martin, 40, who lived in a subdivision off State Highway 367 North, was shot by officers after he shot and disabled a state police robot which was sent into his residence about 1 a.m. Martin then opened fire on SWAT officers outside his home, Sadler said in a news release. This entry was posted in Arkansas, Dead, Man, Shot by Police on September 17, 2013 by usgunviolence. COLUMBIA, SC (WACH)- The suspect who ran from Richland County deputies Monday night has been identified. Richland County Coroner Gary Watts said Mitchell Alanda St. Clair, Jr, 39, died at the scene from a gunshot wound sustained in the upper body. St. Clair was stopped Monday night about 10:15 in a wooded area near Faraway Drive and East Boundary in the Dentsville community in Richland County. St., Clair has no know local address and authorities located his family in Beaufort County, North Carolina. A Washington man, who was wanted for more than a year by local authorities on assault charges, was shot and killed by deputies in Richland County, South Carolina on Monday. The Richland County coroner this afternoon confirmed the identity of the man killed as Mitch St. Clair, Jr. 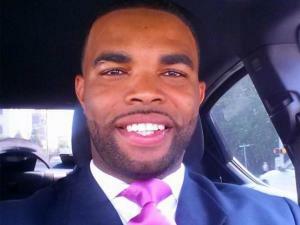 The 39-year-old St. Clair was shot late Monday after a short chase outside of Columbia. Authorities say the man exited the vehicle and fired multiple shots at a deputy who returned fire. This entry was posted in Dead, Man, Shot by Police, South Carolina on September 16, 2013 by usgunviolence. 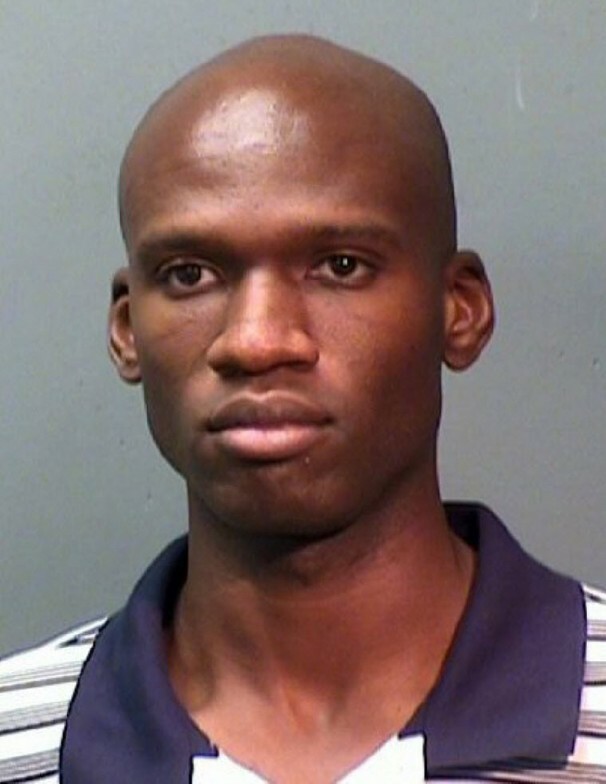 The Washington Navy Yard shooting occurred on September 16, 2013, when lone gunman Aaron Alexis fatally shot twelve people and injured three others in a mass shooting at the headquarters of the Naval Sea Systems Command (NAVSEA) inside the Washington Navy Yard in Southeast Washington, D.C. The attack, which took place in the Navy Yard’s Building 197, began around 8:20 a.m. EDT and ended when Alexis was killed by police around 9:20 a.m. EDT. It was the second-deadliest mass murder on a U.S. military base, behind only the Fort Hood shooting in November 2009. On Monday, September 16, Alexis left his hotel and arrived at the Navy Yard in a rented Toyota Prius at around 7:53 a.m., using a valid pass to enter the Yard. He entered Building 197 at 8:08 a.m. through the main entrance, carrying the disassembled shotgun (the barrel and stock of which had been sawed off) in a bag on his shoulder, and went to the fourth floor, where he conducted work during the prior week. He assembled the shotgun inside a bathroom, then emerged with the gun, crossed a hallway into the building’s 4 West area, which is a cubicle area near the atrium, and began shooting at 8:16 a.m. Four people were hit; three of them died, while the fourth, a young woman, survived wounds to the head and hand. At 8:17 a.m., approximately one minute and 30 seconds after the first shots were fired, the first calls to 9-1-1 were made. By 8:20 a.m., Alexis had shot and killed eight people on the fourth floor, and he made his way to the third floor, where he fatally shot two more people within the next two minutes. He also fired at several people on at least five separate occasions, wounding one woman in the shoulder as she ran up a stairwell. A NAVSEA employee described encountering a gunman wearing all-blue clothing in a third-floor hallway, saying, “He just turned and started firing.” After firing several shots on the third floor, Alexis went to the first floor. At 8:23 a.m., officers from the D.C. Metropolitan Police Department and several other law enforcement agencies began arriving at Building 197. However, because there were many buildings on the base, officers were unable to discern Building 197’s location and asked bystanders for its location. They eventually found Building 197 after moving towards the direction people were fleeing from. There was also confusion regarding the shooting also taking place in a nearby building; in reality, a wounded victim evacuated from Building 197 had been moved to an area located near the second building for medical attention. While on the first floor, Alexis moved around randomly before turning around and heading towards the front entrance. There, he fired at Richard Ridgell, the security officer stationed there, through a set of windows, killing him and taking his Beretta 92FS 9mm semiautomatic pistol afterwards. Ridgell, a former Maryland state trooper, had earlier been informed by two police officers to remain at his post and try to stop the gunman if he attempted to leave the building. He then fired his shotgun at a second security guard and a Navy military police officer at the first-floor atrium, missing both; the security guard fired back and Alexis fled down a hallway. Shortly afterwards, Alexis fired at two police officers and a Naval Criminal Investigative Service agent in another hallway before fleeing again. At 8:34 a.m., Alexis went towards the west side of the building, where he encountered two men standing at a corner of the building in an alleyway. He tried to fire at them with his shotgun, but realized he was out of ammunition and switched to the stolen Beretta, shooting and killing one of the men with it; the other man managed to escape without injury. Reports indicated the victim in the alleyway was hit by a “stray bullet”. Alexis’s usage of the pistol during the alleyway shooting led police officials to initially believe the possibility of a second gunman involved. After killing his final victim, Alexis moved to a cubicle area, where he discarded the shotgun. At the same time, a team of officers entered Building 197, but they became confused after gunshots echoed through the atrium, leading them to believe the gunman was on an upper floor. As a result, the officers headed up to the second floor, while Alexis remained on the first floor. At approximately 8:55 a.m., Alexis went to the third floor via stairwell and concealed himself inside a bank of cubicles. At 9:12 a.m., two officers and two NCIS agents entered the cubicle area, whereupon Alexis opened fire on them, hitting one of the officers, Scott Williams, in both legs. The other officer and the NCIS agents dragged Williams out of the area and alerted other officers to Alexis’ presence. Williams would later be taken down to the first floor and seek medical attention, and ultimately survive. At 9:15 a.m., soon after Williams’ evacuation, D.C. Police Emergency Response Team officer Dorian DeSantis and U.S. Park Police officers Andrew Wong and Carl Hiott entered the cubicle area and searched the individual banks. Eventually, Alexis jumped out from one of the desks and fired at DeSantis from approximately five feet away, shooting him once in his tactical vest, and the three officers returned fire. DeSantis was uninjured by the gunshot. At 9:25 a.m., Alexis was fatally shot in the head by DeSantis during the gunfight, and his death was later confirmed at 11:50 a.m. There were 13 fatalities, including the perpetrator. Alexis and 11 of the victims were killed at the scene, while a twelfth victim, 61-year-old Vishnu Pandit, died at George Washington University Hospital. All the victims killed were civilian employees or contractors. Eight others were injured, three of them from gunfire. The survivors wounded by gunshots (police officer Scott Williams and two female civilians) were in critical condition at Washington Hospital Center. This entry was posted in D.C., Dead, Man, Mass Shooting, Multiple Shooting, Shot by Police on September 16, 2013 by usgunviolence. BAKERSFIELD, Calif. – Two men who were shot and killed at the Four Points Sheraton have been identified. The shootout happened at 12:34 a.m. during a traffic stop in the east parking lot of the Four Points by Sheraton hotel on California Avenue, according to Sims. According to BPD Public Information Officer Michaela Sims, a police officer — whose identity has not been released — sustained a moderate gunshot wound to the head. The injury does not appear to be life threatening. 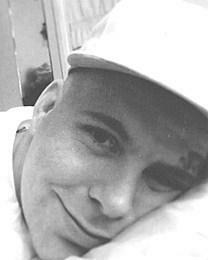 Justin Bryan Harger, 32, of Bakersfield died at the scene after being shot. Also Jorge Ramirez, 34, of Bakersfield died after being shot. The following are the officers involved in the shooting: Daniel Brewer, eight-year veteran; Rick Wimbish, 22-year-veteran; Ryan Vaughan, four-year veteran; Jess Beagley, eight-year veteran; and Chad Garrett, three-year veteran. Both Harger, 32, and Ramirez, 34, died at the scene. Police said an officer suffered a gunshot wound to the head that did not appear to be life-threatening, and another officer suffered a minor injury unrelated to the gunfire. The Harger family is angry because they believe that the shooting of Harger was premeditated murder. Sheila Somers, Harger’s mother, said police showed up to her home just days before his death and said they would kill Justin when they found him. BAKERSFIELD, Calif. – The lawyer of the family representing Jorge Joel Ramirez, a man fatally shot by police, released a statement on behalf of the family today. The lawyer, Mark J. Geragos, Esq., said that the family is demanding an investigation be completed by the Bakersfield Police Department in the death of Ramirez. We represent the family of Jorge Joel Ramirez, a 34 year old unarmed young man who was shot and killed on September 16th, by Bakersfield Police while working as an informant for the Bakersfield Police Department. Jorge was working with the Bakersfield police to catch a armed and dangerous fugitive wanted in a shooting. It is clear that something went terribly wrong, but the family has been stonewalled by the Bakersfield Police. Our own preliminary investigation has revealed extensive communications by the Bakersfield police directing Jorge. The Bakersfield police sent Jorge to his execution on September 16, 2013. The police also placed the entire community at risk based on their reckless and outrageous operation. The Police release of public information of the facts surrounding the shooting are a moving target. The goal seems to be an attempt to explain and justify the killing while slandering Jorge. Even while this so called investigation is still pending and Police Chief Williamson’s has indicated that he has already made up his mind and that he has decided his officers did nothing wrong. The family of Jorge demand an investigation conducted by an independent agency. Chief Williamson should insist on an independent investigation, at very least, to avoid the bias he has already injected into the process through his media appearances. He should immediately step aside from any involvement in this matter. The officers involved in the shooting, who have so far illegally refused to give statements, must be compelled to provide statements about their involvement and they must be held accountable for their conduct as required by the law. Ramirez was unarmed. He was apparently caught in a gunfight between several Bakersfield police officers and the fugitive he was ostensibly trying to help them apprehend, 32-year-old Justin Bryan Harger. Harger fired at police, striking Officer Daniel Brewer, who was hospitalized but released a few hours later. This entry was posted in California, Dead, Man, Multiple Shooting, Shot by Police on September 16, 2013 by usgunviolence.